A lovely addition to any outdoor space, our 8-sided gazebo is meticulously built and textured. The white version is made from aged wood with spots of peeling paint. Moss-covered wood shingles make a wonderful contrast. 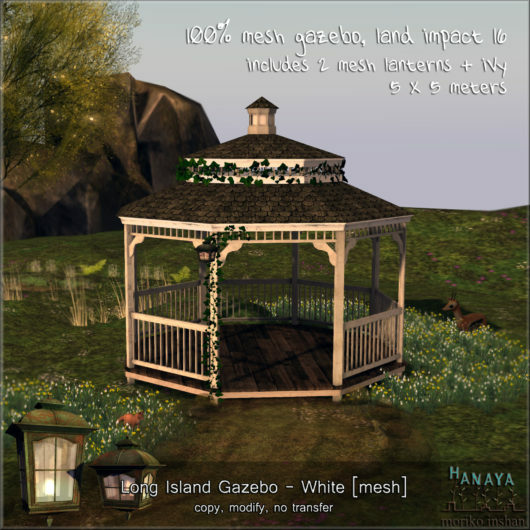 The entire gazebo (including lanterns and ivy) is only 16 LI with a foot print of 5 x 5 meters. Now available for purchase at -Hanaya- inworld or on the Second Life Marketplace. 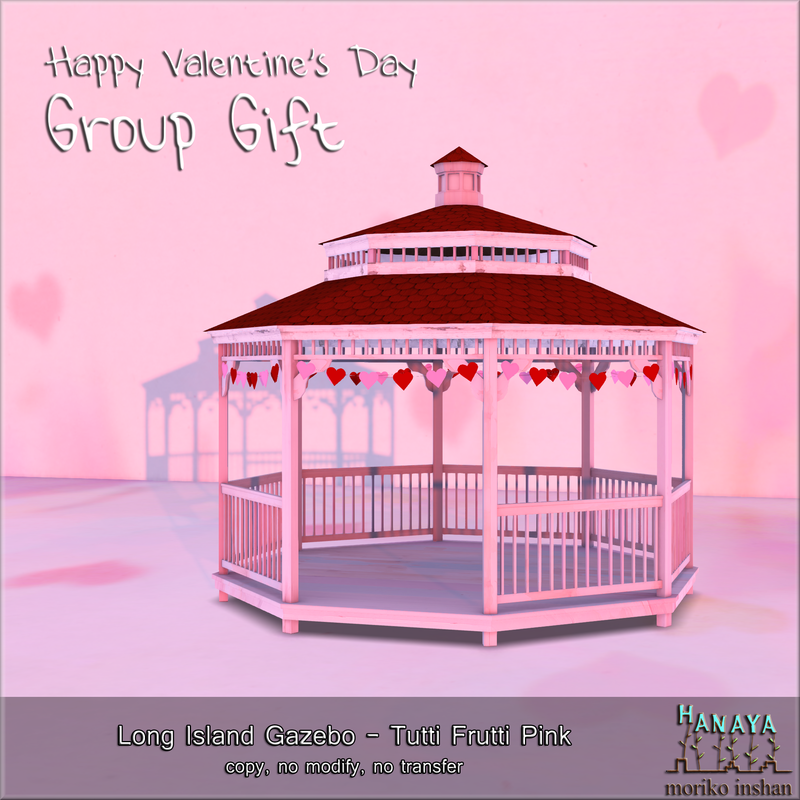 This entry was posted in Freebies and Gifts, Product Announcements on January 31, 2015 by moriko.